The Minnesota Historic Society are online, free for anyone with interest in any ancestors who lived or worked in Minnesota. This site has images of artifacts, photographs, works of art, copies of documents / manuscripts, and maps. It is not the entire collection held by the Minnesota Historic Society, but more will be added in the future. Use the search box to the upper left to put in a key word, surname, phrase or even a name of a collection such as photos. There are thousands of images, so you can narrow it down by selecting a date range. Just the time frame of 1865 has 1,687 photos. For the year 1890 there are 3,717 photos. 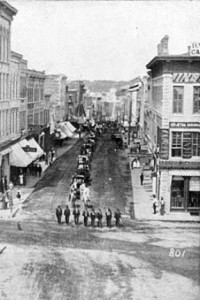 Numerous images of locations, homes, buildings and businesses. Part of this collection also has information and photos about the military servicemen from Minnesota. 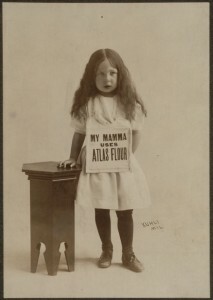 Many images from those soldiers during World War I are in the collection. Placing a family name / surname could yield some interesting finds. There are people included that didn’t live full time in Minnesota, especially relating to soldiers who were residents of another state but served in Minnesota military units. Business advertisements are interesting, from companies in Minnesota to those headquartered in neighboring states. 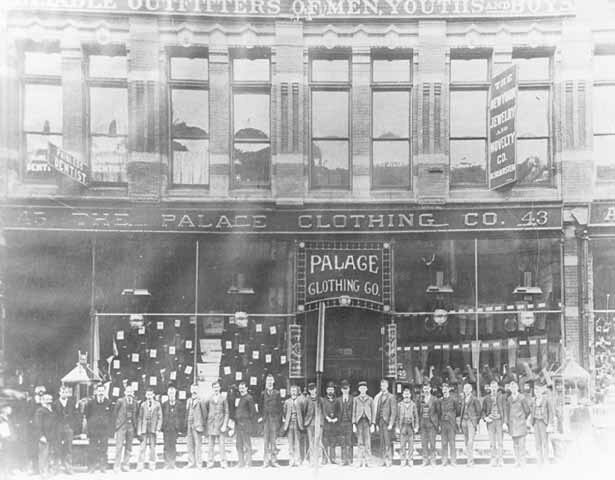 Photos: Third Street from Wabasha, St. Paul-1865, Palace Clothing Company at 43-45 Washington Avenue, Minneapolis-1890 and Atlas Flour advertising of Wisconsin.